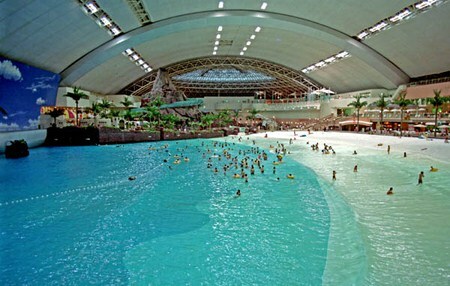 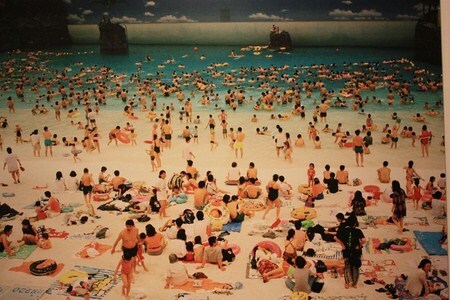 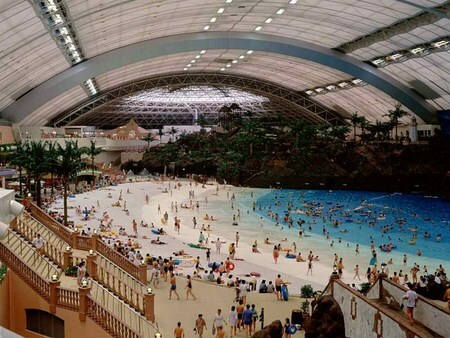 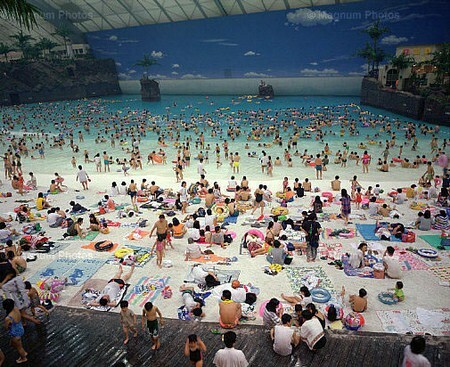 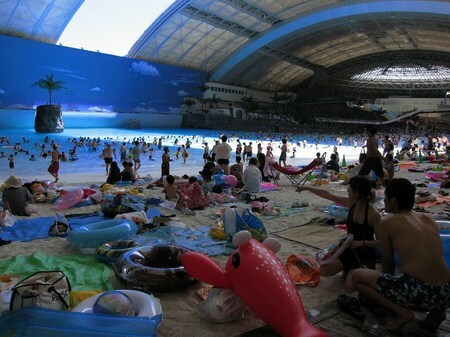 Artificial beaches are gaining popularity all over the world. 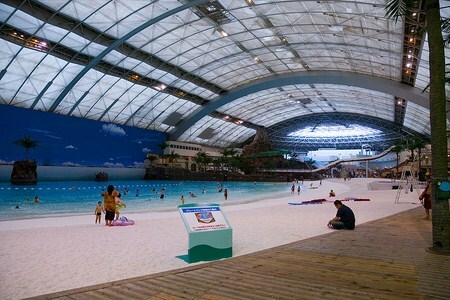 We can see them in Monaco, Hong Kong, Paris, Berlin, Rotterdam, Toronto and others, but the biggest among them is Seagaia Ocean Dome in Miyazaki, Japan. 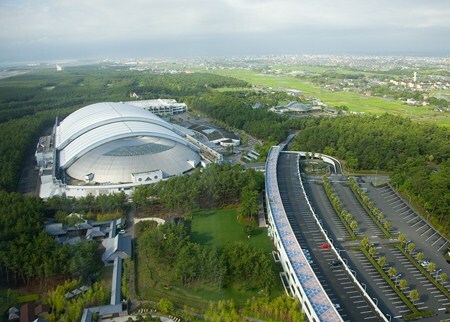 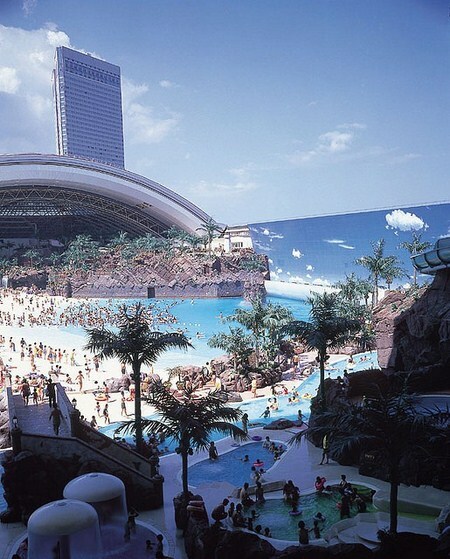 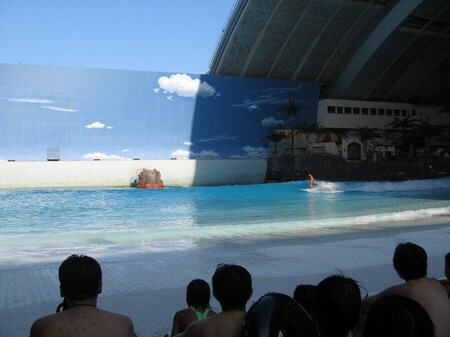 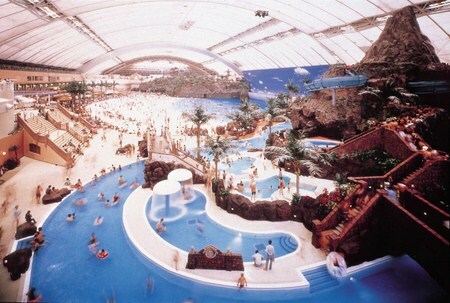 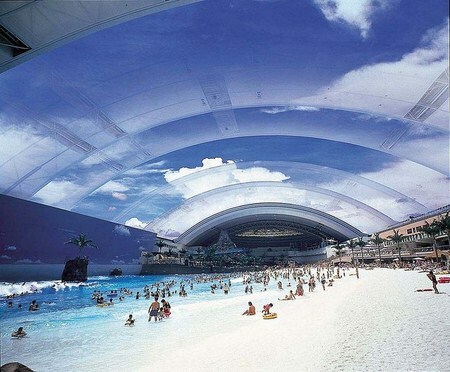 The Ocean Dome, which was a part of the Sheraton Seagaia Resort, measures 300 meters in length and 100 meters in width, sported a fake flame-spitting volcano, artificial sand, artificial palm trees and the world's largest retractable roof, which provided a permanently blue sky even on a rainy day. 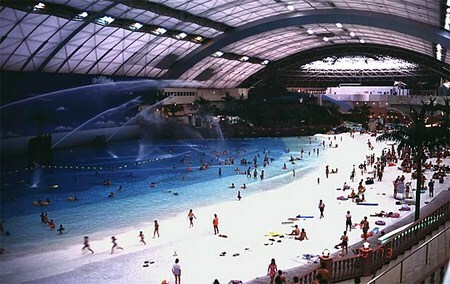 The air temperature was always held at around 30 degrees Celsius and the water at around 28. 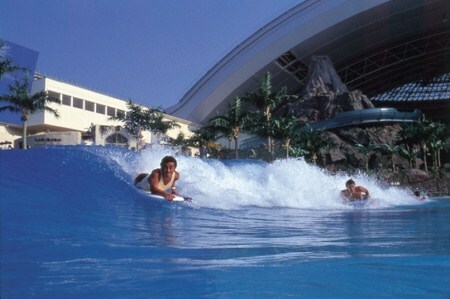 The volcano becomes active every 15 minutes and spews fire every hour, and incredible waves lashes the beach for surfers delight.